The GN Spokane Division lives in my garage during the summer months, but packed away during the winter so that the car can go in the garage! 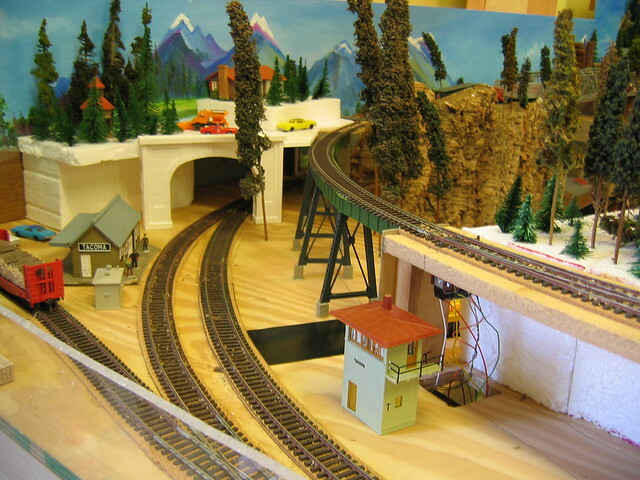 The layout is movable but not portable, being made this way due to frequent moves of house when working. 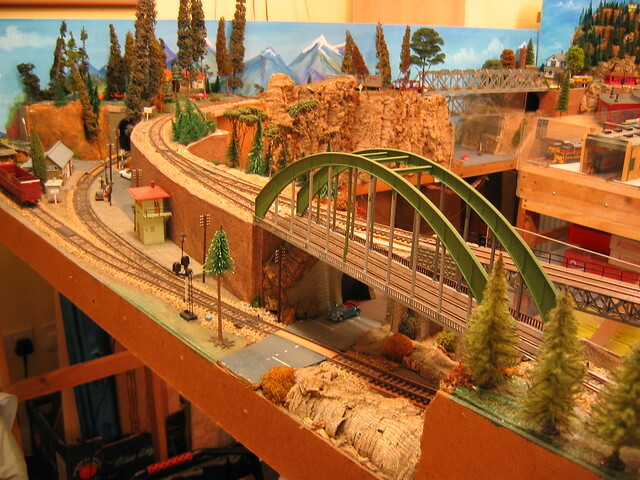 Layout is approx 17' x 10' and set in the Pacific Northwest. 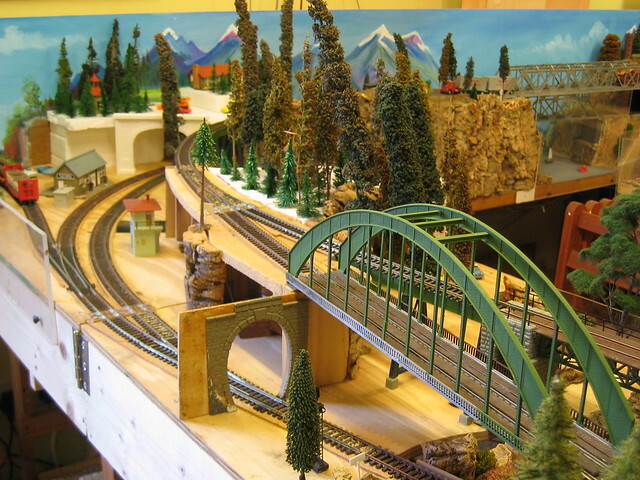 The main location is Spokane which gives a wide variety of roads available. Other stations are from the general area. The time period in the mid 1950's which allows me to run a variety of steam/electric/diesel but with considerable licence. Currently trying to improve the operations side with more industry spurs. The basic plan dates back approx 30 years and I have stuck to it (wonder of wonders) but with improvements. 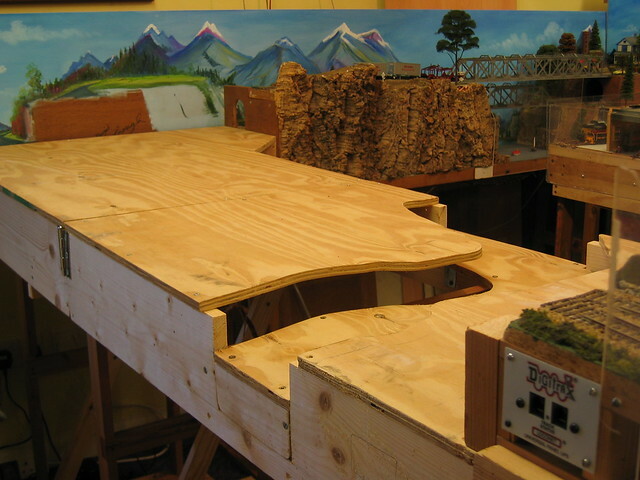 Layout now runs on Digitrax DCC. Last edited by brianc on Mon Nov 05, 2012 12:18 am, edited 1 time in total. Great work, and I really like the pictures. Can I humbly suggest that you change your identity so that we get to find out who you actually are? Sorry about that, I forgot to change the details, but have now done so. Please take some more photos! As requested, I have posted a few more pictures. Still some work to do though,see next post for more pics. As it is too cold to work on the layout which lives in the garage, Management have been working on the 4 cars recently purchased. Did not really need these but they were a good price. First to be completed is a UP 50' Automobile box car. This has been weathered using Carr's Weathering Powders and I am quite pleased with the result although the picture perhaps does not show this to best advantage. I have not oversprayed the weathering as I find that this can blow the powder away and see that Carr's do not recommend this anyway. Possibly I need to experiment more. Here is my first attempt at video, please enjoy and thankyou for watching. Particularly like the choice of font on the title, classy touch! A great start for your first video. It is in focus, many people don't manage that even after several videos. Here's my next attempt at video, slightly longer this time. Please enjoy and thank-you for watching.